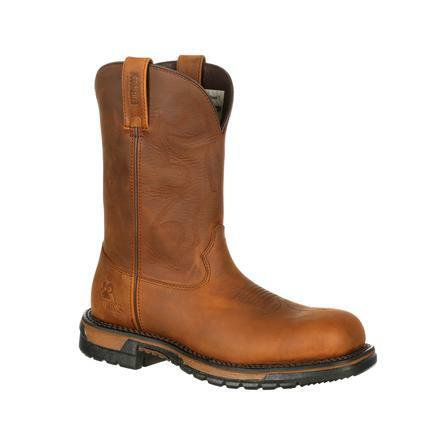 Choose the Rocky® Original Ride Composite Toe Waterproof Roper Western Boot for comfort and safety performance. 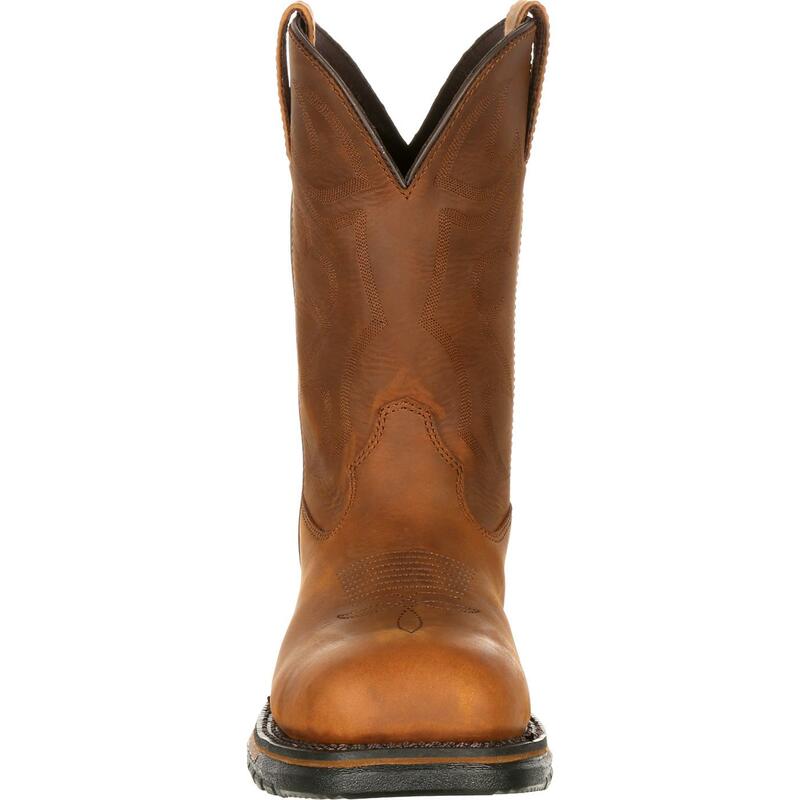 Rocky gave this cowboy boot an exclusive 8-Layer Rocky Ride Comfort System. Inside, this includes an orthotic form, foot cradle, and upper perforated layer that conforms to the shape of your foot. 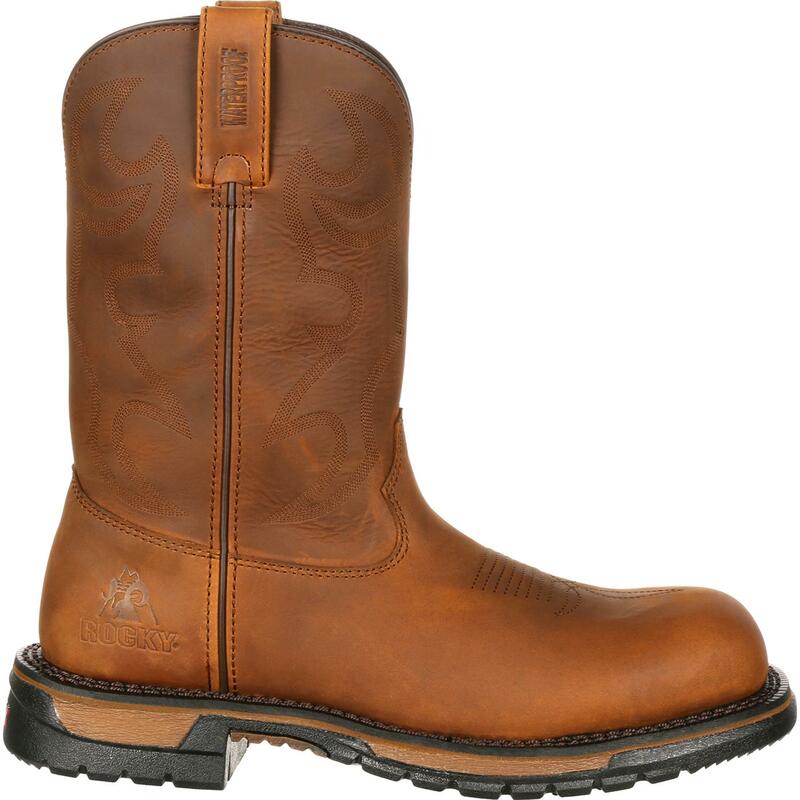 A welt innersole with Flex Facilitator gives this men's western boot great flexibility. The forefoot propulsion pad and rear foot landing pad are a unique two-part highly-cushioned system that increases shock absorption, flexibility and comfort. 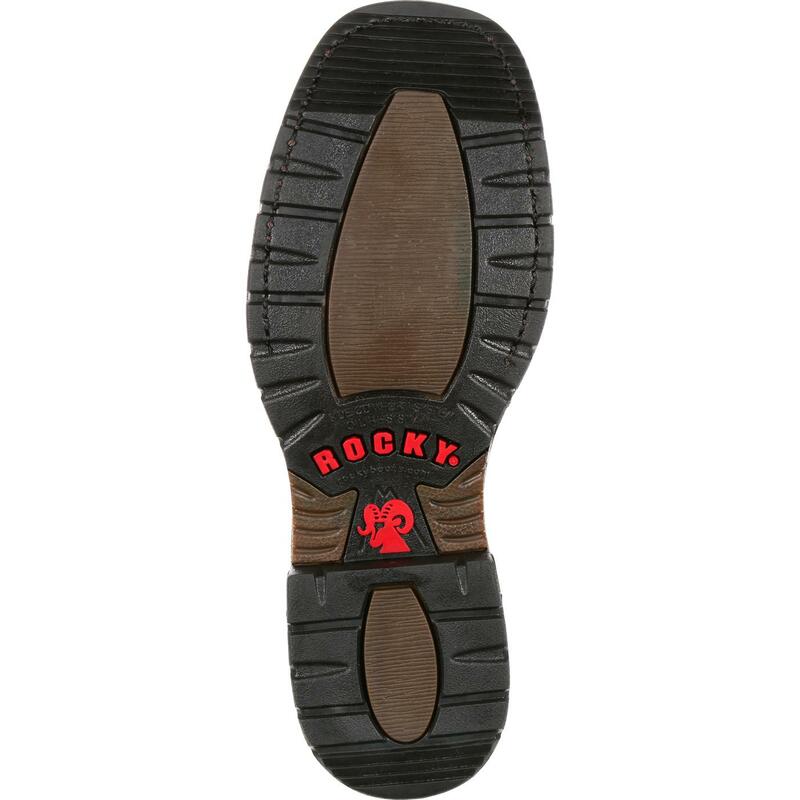 Another important comfort layer is the Rocky Ride Outsole. 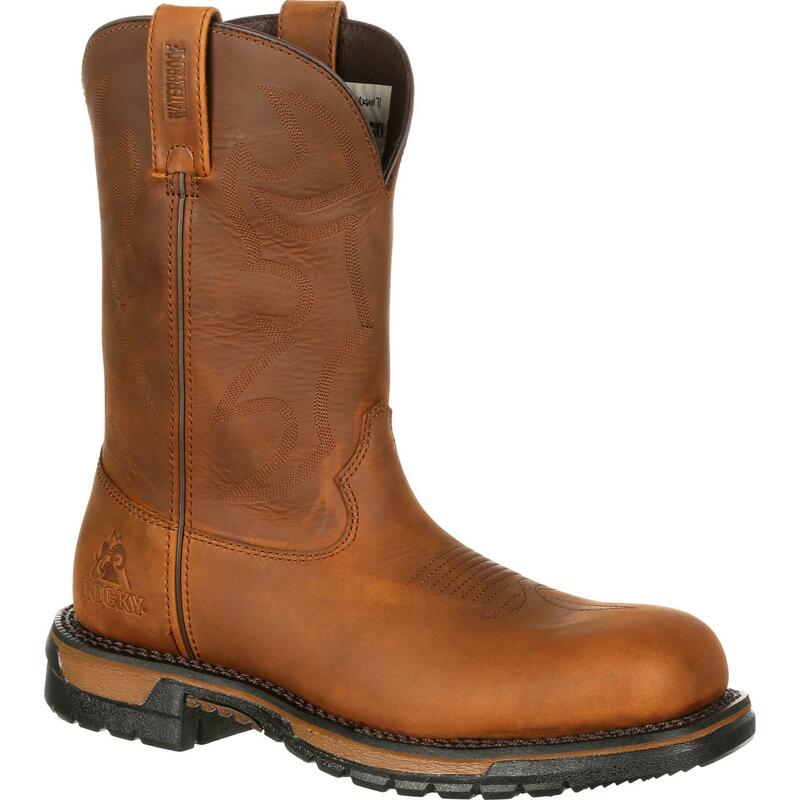 The rubber work platform outsole is oil-resistant and provides extra secure footing. The forefoot and rear section have a softer density to give you sure-footed traction. 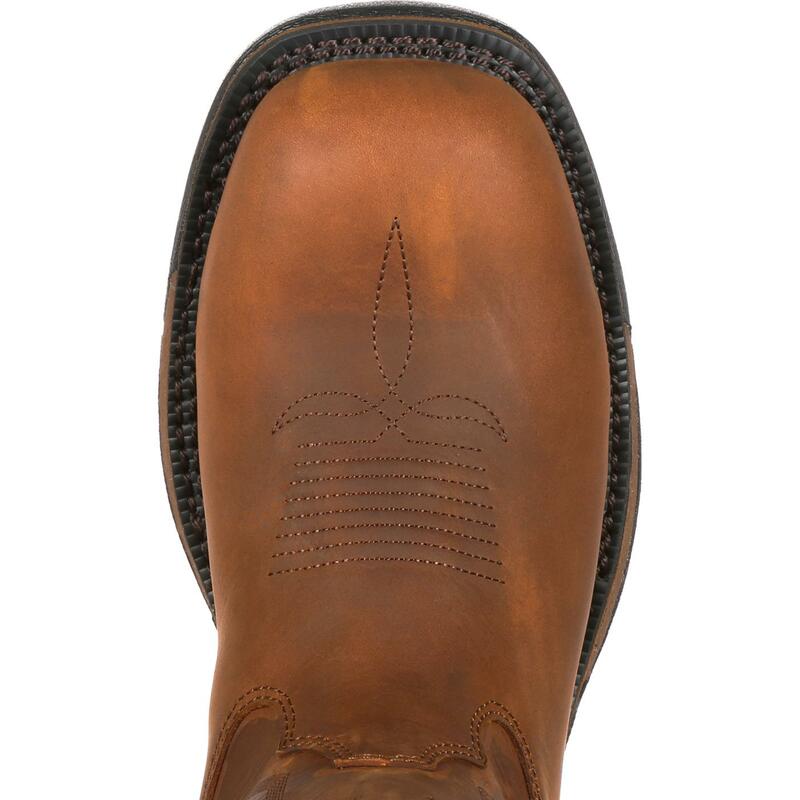 This is a full-grain leather, brown western boot that stands at 10 inches with performance and safety features that Rocky believes you'll be glad to have during your work day. 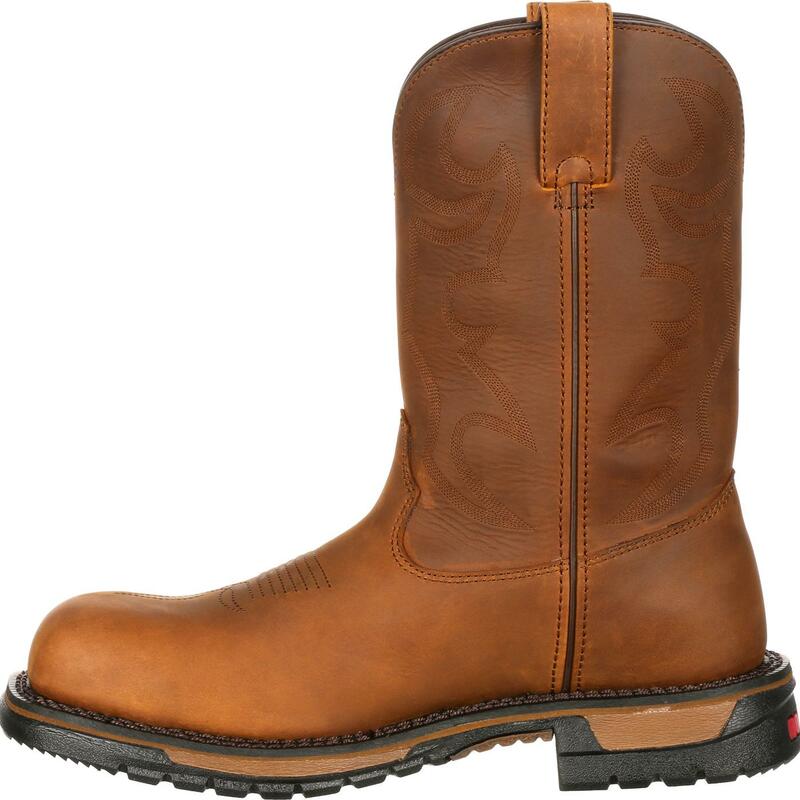 The composite toe western boot protects the top of your toes from up to 75 pounds of impact or compression in case something falls on your foot. 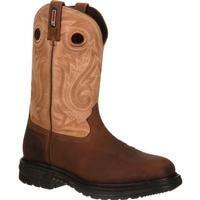 The roper boot also is electrical hazard-resistant. This is a secondary means of protection to reduce the risk of electric shock. Both are great features to have in your work boots. 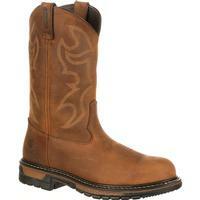 This is a waterproof western work boot made with the guaranteed Rocky Waterproof System. You can be confident your feet will remain dry as you step in water and mud. 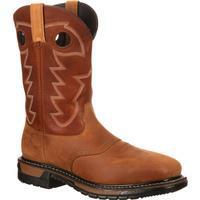 Do you want comfortable western work boots that also offer the safety you need? 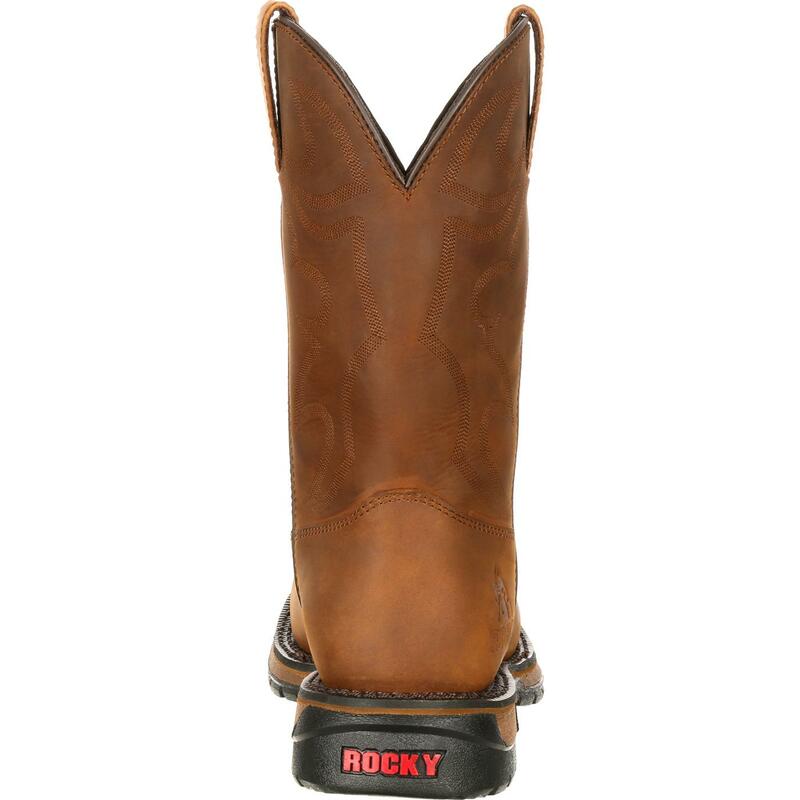 Rocky gives you all of this in the Original Ride Composite Toe Waterproof Roper Western Boot.